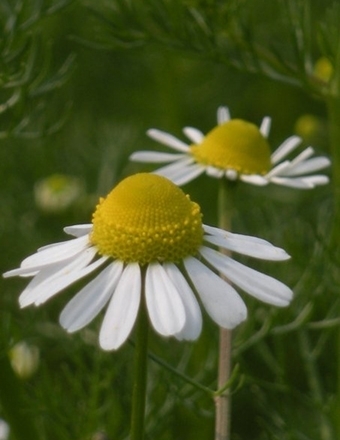 How many Chamomile essential oils are there? When I started out in Aromatherapy, I was very confused by all the essential oils with Chamomile in their names. So, how many are there? There are 4! And they all belong to Asteraceae botanical family. Chamomile, German ( Matricaria recutita): also called blue Chamomile. 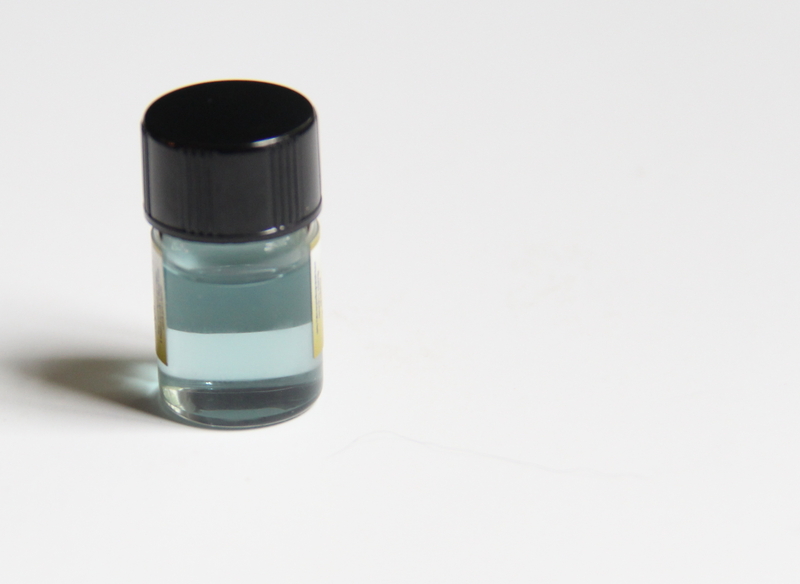 The content of azulene gives it its characteristic blue color. 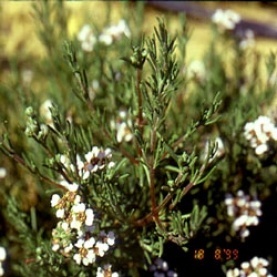 Steam distilled from the flowers, It is high in farnesene which contributes to its oxidation inhibiting quality. German Chamomile is antihistamine. 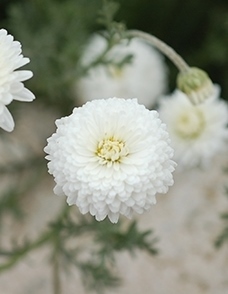 Combined with other antihistamine oils, such as Helichrysum (Helichrysum italicum) and Blue Tansy (Tanacetum annum), it produces antiallergenic effects, excellent for seasonal allergy. It has a strong anti-inflammatory and cooling action, which makes it effective for aches, pains, rashes and burns. Emotionally, it is calming and supportive. The aroma is of woody and Herbaceous with a bit of sweetness in it, the least of my favorite of all the Chamomiles. Chamomile, Roman ( Chamaemelum nobile): steam distilled from the flowers, this oil is high in Esters which contributes to its calming and antispasmodic quality. It can be added to massage oil, cream or bath to relieve stress, mood swings and symptoms of PMS. This oil is gentle enough to be used for baby’s colic. Aroma is sweet and floral. Oil’s color is clear. Chamomile, Cape ( Eriocephalus punctulatus): steam distilled from finflammatory and antispasmodic. It is also skin healing and calming to the CNS. The aroma is sweet and fruity with a bit of sharpness in it. I can’t get enough of it. It makes me feel calm! 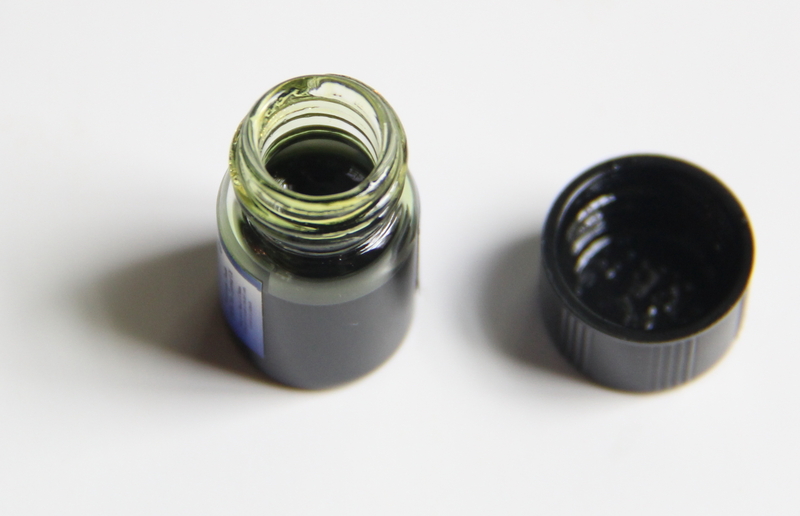 As you can see from the picture above, the oil has a light ocean blue to it. 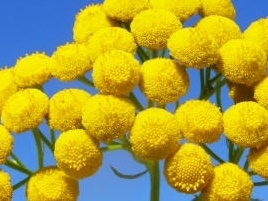 Blue Tansy ( Tanacetum annum ): also called Moroccan Chamomile. It is steam distilled from the flowers. 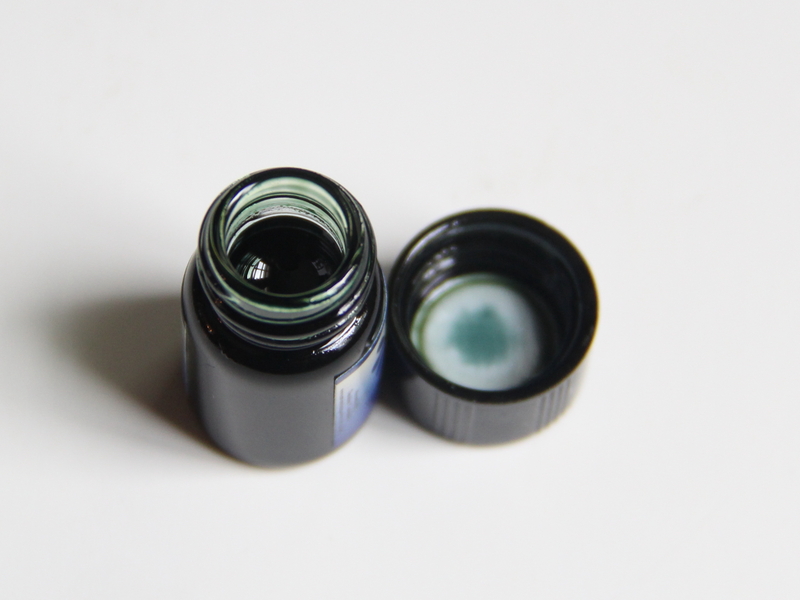 Like Chamomile, German, this oil is of deep blue color due to its azulene content. The aroma is similar to Chamomile, Cape, very pleasant and easy to work with. This oil is high in Sesquiterpenes, and has similar therapeutic properties as Chamomile, German. There you have it, all 4 different oils with Chamomile in their names with their gorgeous aroma and wonderful therapeutic properties. In my next post, I will write about how to combine these oils with Helichrysum to make a powerful healing emollient for your loved ones.